All restoration and repairs are done by Craig Scollard. Some of the more common repairs are listed in the left menu. 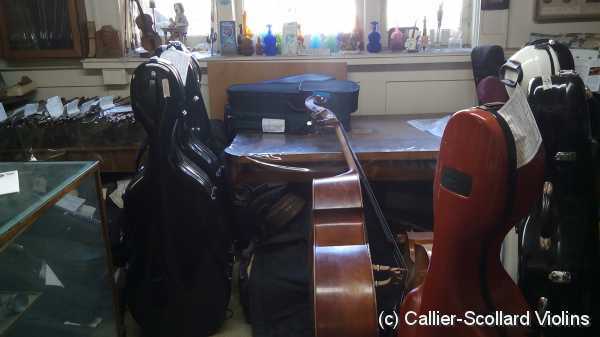 Too many cellos and basses arriving at the same time. How much do you charge for a viola peg fitting? If the viola peg holes are not too large and are straight, it's about $40 and up (violin is about $35 and up) to replace the 4 pegs, plus the cost of the new pegs. Nice pegs start at about $30 and up for a set. Normally I like to use a high grade fiber lined imitation ivory tip. For those I usually charge about $45 plus the tip which currently is about $8. For bone tips I would need to charge a little extra because they are harder to cut and are more brittle. I would recommend using the imitation tips because they feel similar to ivory and look better than bone. "The satisfaction of the instinct of workmanship is good; for that instinct is the noblest thing in man after love, from which indeed it springs. Just to do your best at any cost, and afterward to experience something of the Seventh Day glory when you look upon your work and see that it is good." Hello, could you please send me some pricing to get my violin bow rehaired. And also pricing to have my strings replaced. My violin has been in the closet for years and its time to bring it back to life. Thank you! How much do you charge to clean and polish a viola? 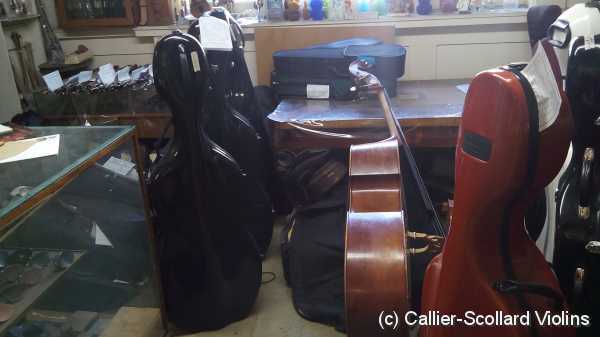 Do you do repairs on older cellos with a broken neck? I recently acquired a used violin that is in need of some TLC. Can you please send me a list of your pricing? 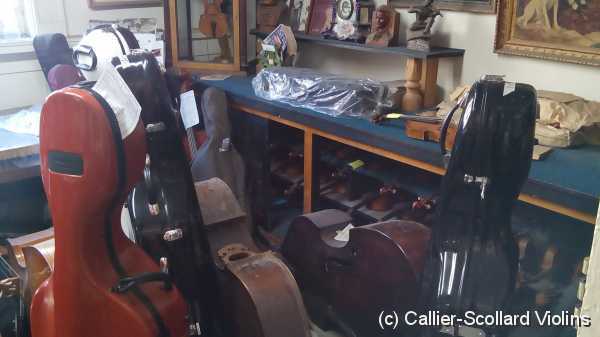 I could possibly be interested in several different repairs, but I also don't want to spend a fortune since the violin is not that good quality to begin with. Here are some of the things I'm interested in: clean up , bow rehair, repairing a few unsightly chips, changing the chin rest, changing bridge, restringing.